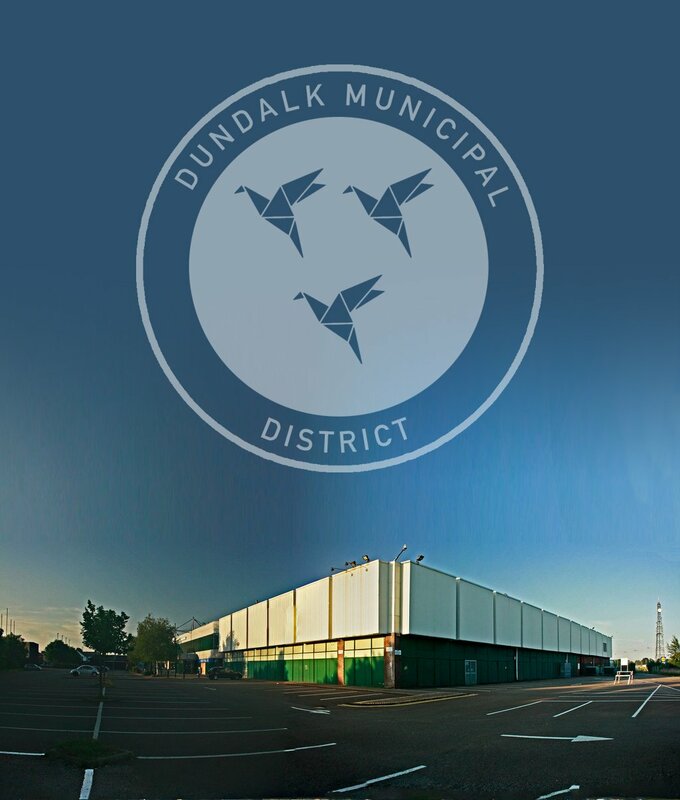 Which is your favourite Dundalk building? Of the current existing buildings that have not been smashed to the ground by cultural vandals, I’d have to say the Tourist Information Office. It looks like a KGB office from the 70s. It may have been at one stage. You can also have a coffee there and watch the world go by. All time, the Dundalk Shopping Centre, or as we know it The Old Shopping Centre. Rest In Peace. Shout outs also go to Carroll’s factory, which looks like the headquarters of an evil tech magnate in a Bond film. Futuristic. What do you think of the Dundalk-Drogheda linear city idea? I have no idea what that is, but I absolutely know I don’t like it. Sounds extremely bad. Does Drogheda have anything to offer? Cannon fodder for the Lilywhites. Also - an actual hospital. I awake, dazed and confused, on Blackrock beach. I don’t know how I got there. Anointing myself with protective amulets I make my way into The Big Tesco and stand in the exact location where Top Drawer once was and just soak in the energy of cap-guns, plastic soldiers and fancy paper. Once suitably charged with vibes I go up town to have lunch in Atami. I then walk past the mural to Ayn Rand’s The Fountainhead on Williamson’s Place and wonder why it is there. I often ponder placing a mural to Karl Marx’s Capital opposite, for balance. In the afternoon I go to Kelly’s Monument and circumambulate it 7-times. In the evening, I head out to the Spirit Store, to have a load of pints. I then steal a small boat and sail out to the light house in Dundalk Bay, where I conduct various rituals and also produce memes. What do you think of the current rejuvenation that is taking place on Clanbrassil Street and the Long Walk? I like the rejuvenation process itself. I was schooled in the De La Salle where there was a strict one-way system so I appreciate that element. I have no idea what the plans are. I’m not a very good Municipal District. Is there anywhere else in town you would like to see rejuvenated? I would like to see the Big Tesco removed and the Old Shopping Centre restored to it's former glory. Who is Dundalk’s greatest hero? Jinx Lennon. He’s a poet-warrior in the classic sense. A mystic troubadour. Is it just nostalgia being kind to our memory, or was the Old Shopping Centre really that good? No, it absolutely was a special place. I don’t have any such similar memories of other local shopping centres. I mention it to lots of people and many are aware of the vibe I am on about. It’s almost beyond words – I struggle to explain it, but when I think of it, I feel like it was a magical place, a lot of which is down to its structure. I think it may have been designed by some kind of wizard, like the building in Ghostbusters, to conduct spectral forces. It also had great shops like Top Drawer. I think we all know what I’d like to do regarding local shopping centres, but if I could hijack this for a party political message, I’d like to see a proper functioning hospital and affordable housing for all. Expanding the DMD brand. Merch, podcasts, vlogs, personal appearances. I think my favourite thing is how they don’t take themselves too seriously. It’s important to know your place in this world, and not be self-important. What do you like to do to let off steam in Dundalk? Shout abuse at referees in Oriel Park. Being in Top Drawer in the Shopping Centre buying plastic soldiers while my mam was next door having coffee with a friend. The ghostly, spectral sounds of Wham’s “Last Christmas” echoing in from outside. What’s your favourite story you've heard about Dundalk? When The Smiths played the Fairways, some locals brought along sausages to throw at Morrissey. I’m a vegetarian myself, but even I have to respect that level of demented behaviour. Plus, respect to them for knowing back then the score with Morrissey. Visionaries. Outside of Dundalk FC, I’m happy to see all those young athletes do well. Godspeed. I also believe there is some special goal-keeping talent being developed in a special Soviet-style training facility out in Blackrock. Brexit is the stupidest idea since they knocked down the Old Shopping Centre. Breakfast is always good. Would you like to see a festival in Dundalk like the old Maytime Festival? Any better ideas? I would definitely like to see a Maytime festival, but something more on the lines of an ancient Celtic ritual, where we’d dress up as crows and such and dance around the streets playing flutes, before assembling up at Cúchulainn’s Castle, where we burn a wicker Shopping Centre.